Do you have any extra ornaments you ended up not using? Find a pretty bowl and display them. 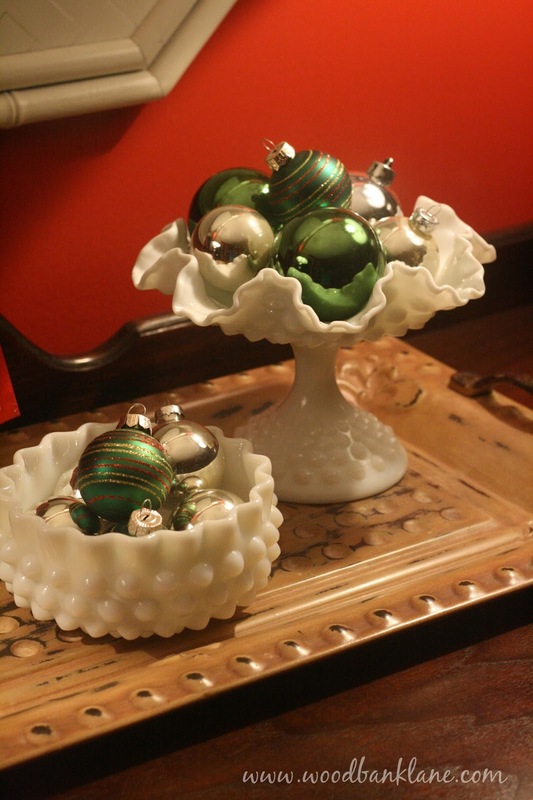 This will add a quick and easy dash of Christmas to any spot in any room. Two more days until the break, and believe it or not, I have all my papers graded--including the make-up work. Yay! I love those lamps! Where did you find those?